Project MinE is a worldwide collaboration between ALS centres in (university) hospitals or research centres and ALS/MND foundations. Nineteen countries work together in project MinE. 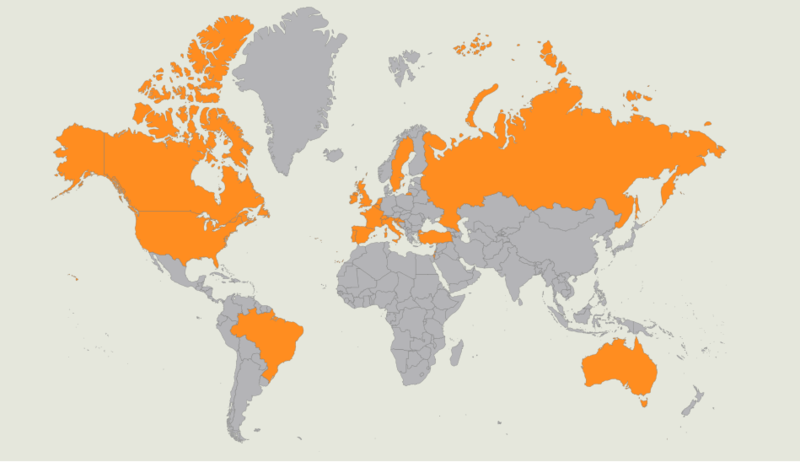 More countries are welcome to join! a collaboration with a foundation for fundraising. Please contact us if you are interested in joining project MinE, email: info@projectmine.com. Researchers and representatives of ALS/MND foundations are very welcome to join our next Project MinE consortium meeting during the ENCALS meeting in Oxford in June 2018. 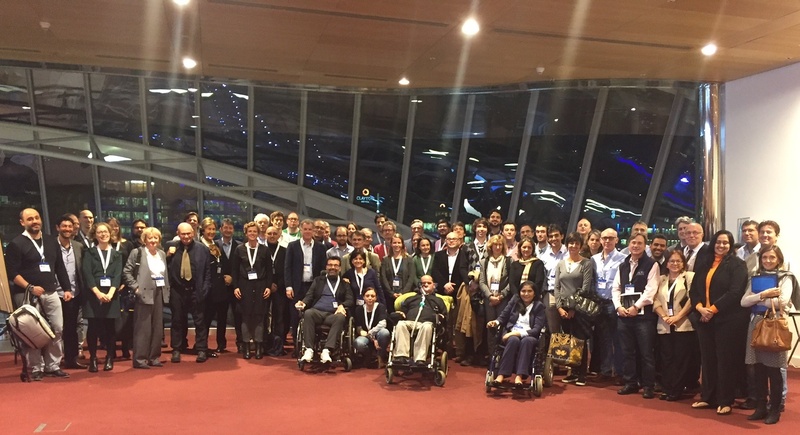 Worldwide collaboration can speed up ALS genetics research! What clinical data do ALS centers need to collect if they join Project MinE? For this study, genetic material from both people with ALS and control subjects will be used. Control subjects need to conform to specific requirements. A Standard Operating Procedure (SOP) has been defined for this and can be found here. Along with genetic material, some minimal clinical data needs to be collected for each individual in Project MinE. This core clinical dataset has been defined for Project MinE and guidelines can be found here. This includes the Edinburgh Cognitive and Behavioural ALS Screen (ECAS). In addition, each individual can be asked to fill in a questionnaire about life style and environmental factors (form for patients/controls, form for examiners), for international collaborative research into risk factors for ALS. As part of the European FP7-funded EuroMOTOR and the JPND-funded SOPHIA project, SOPs for neuropathology and blood & urine sample collection have also been developed. If you’d like to learn more about collaborative data collection, please contact the project office at info@projectmine.com. How can project MinE help research of other diseases? We share data of anonymous control samples with other research projects after signing a data sharing agreement. Project MinE also participates in the Haplotype reference consortium , a large reference panel of human haplotypes.